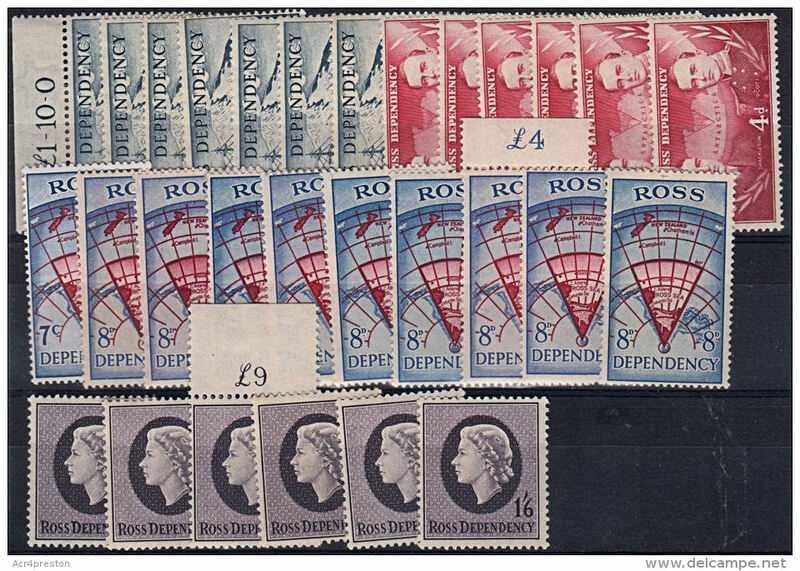 Ross Dependency set of definitive stamps from 1972. Ross Dependency 2010 Whales of the Southern Ocean First Day Cover. 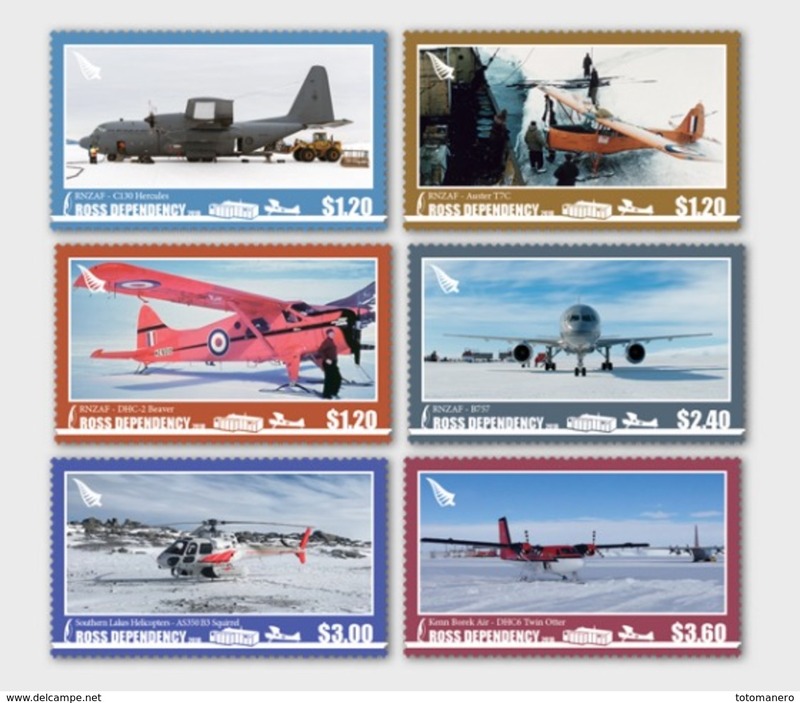 Ross Dependency 2015 Imperial Trans-Antarctic Expedition souvenir sheet unmounted mint. 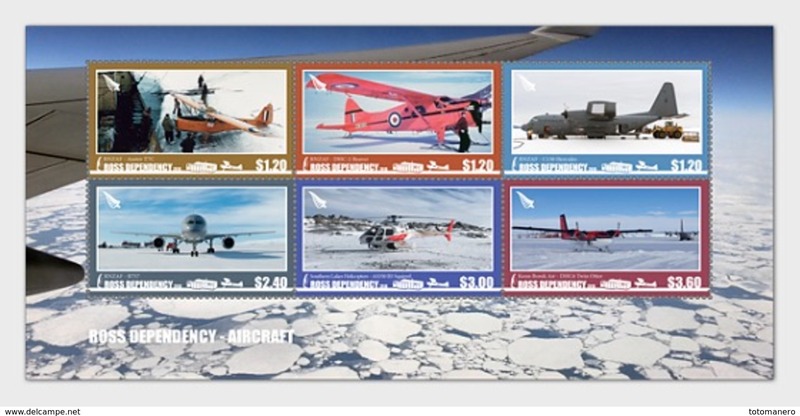 Ross Dependency 2013 Antarctic Food Web souvenir sheet unmounted mint. 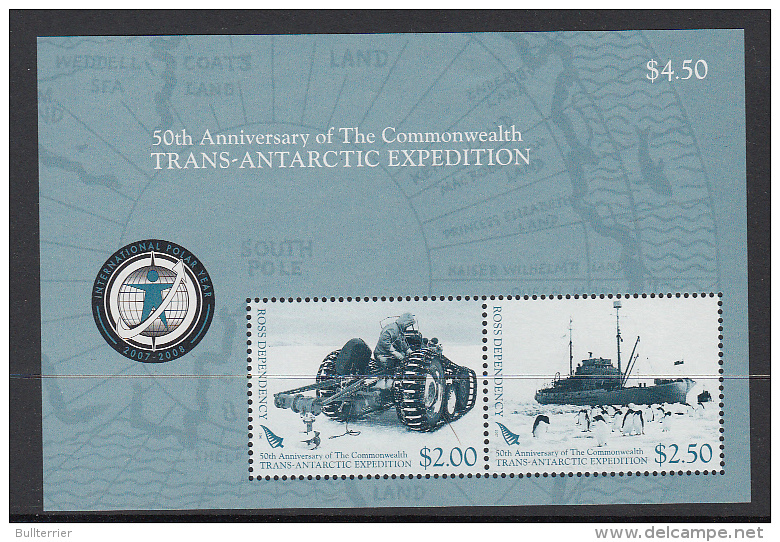 Ross Dependency 2015 Imperial Trans-Antarctic Expedition unmounted mint. 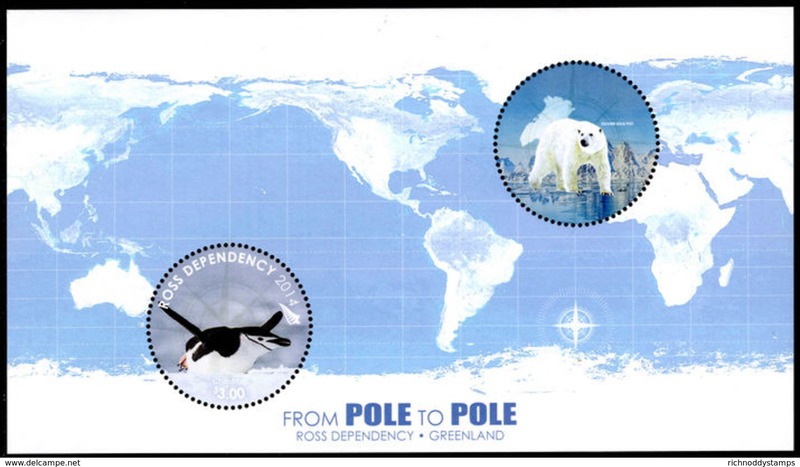 Ross Dependency 2014 Pole to Pole souvenir sheet unmounted mint. 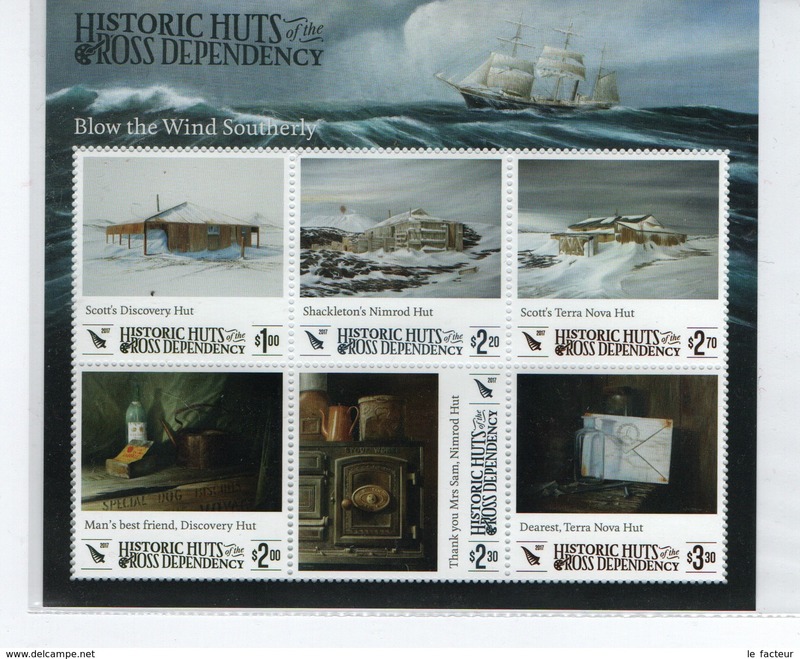 Ross Dependency 2012 Landscapes souvenir sheet unmounted mint. 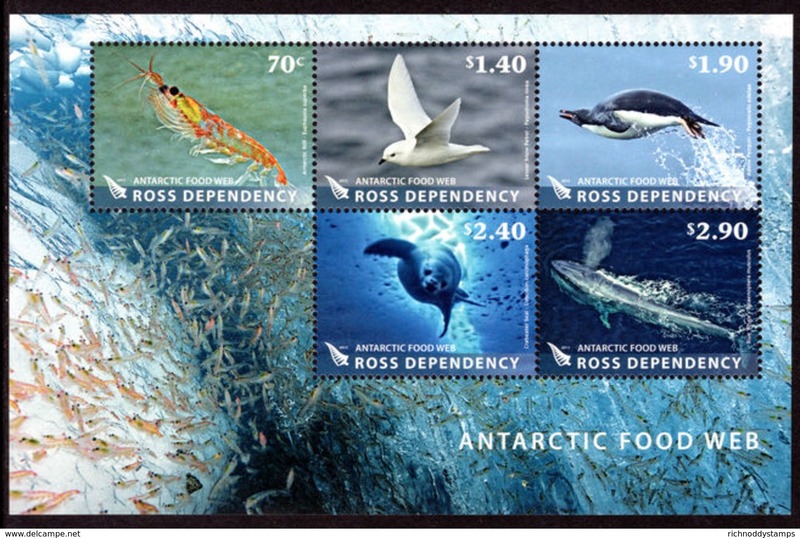 Ross Dependency 2013 Antarctic Food Web unmounted mint. 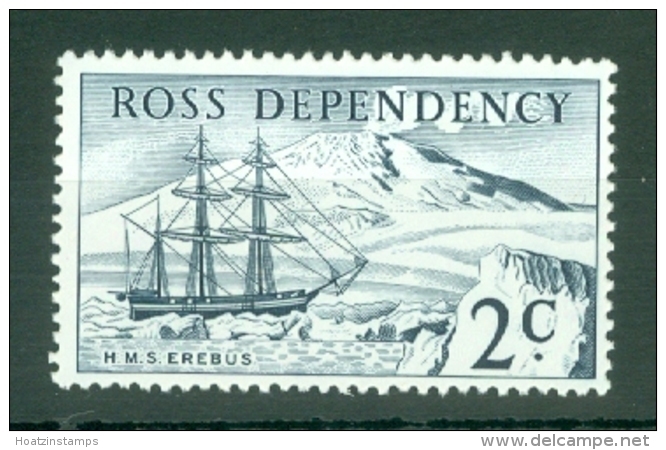 Ross Dependency 2012 Landscapes unmounted mint. 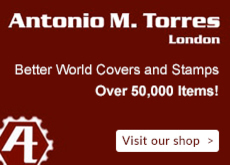 Ross Dependency 2009 Antarctic Treaty unmounted mint. 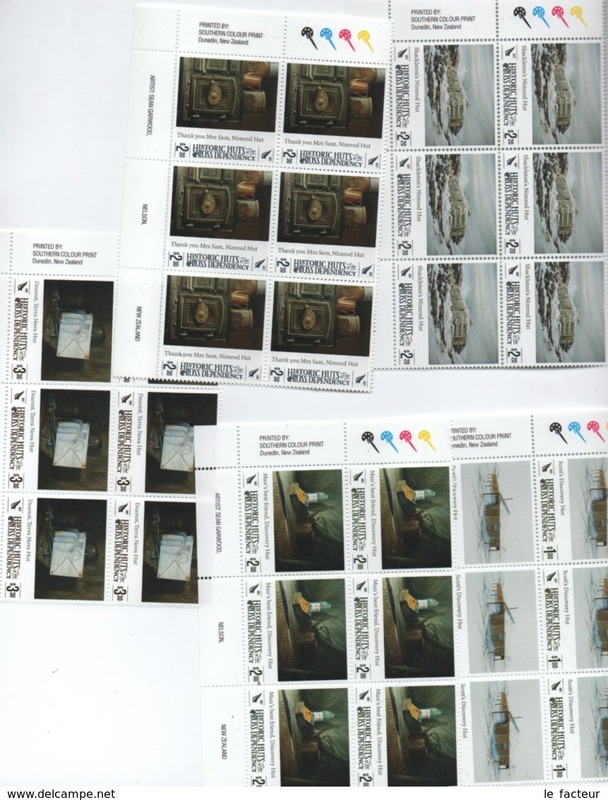 Ross Dependency 2008 British Antarctic Expedition unmounted mint. 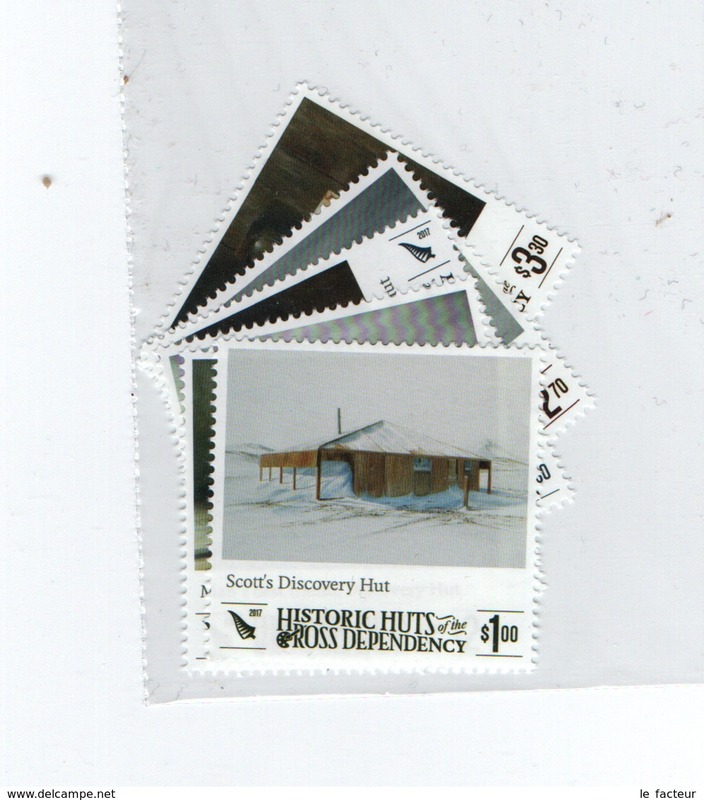 Ross Dependency 2007 Trans-Antarctic Expedition unmounted mint. 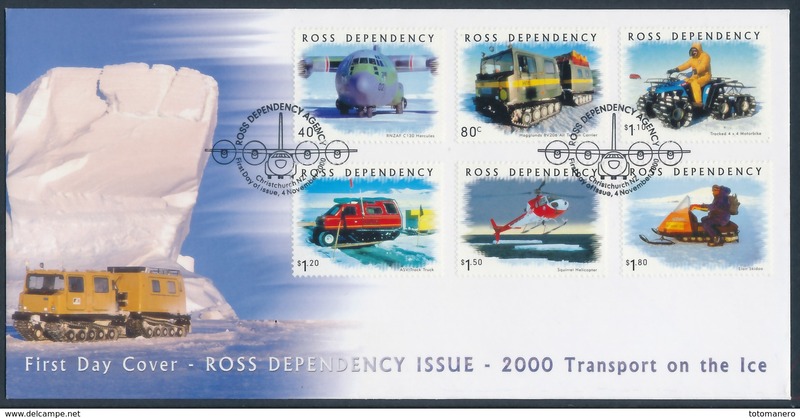 Ross Dependency 2006 New Zealand Antarctic Programme unmounted mint. Ross Dependency 2005 Photography in Antarctica unmounted mint. 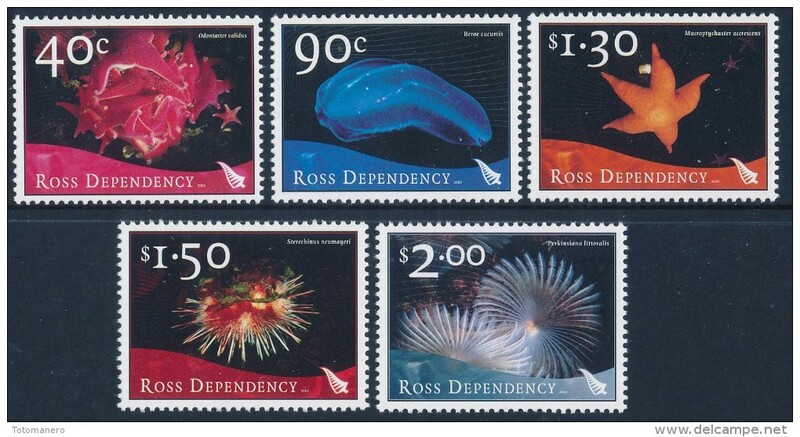 Ross Dependency 2003 Marine Life unmounted mint. 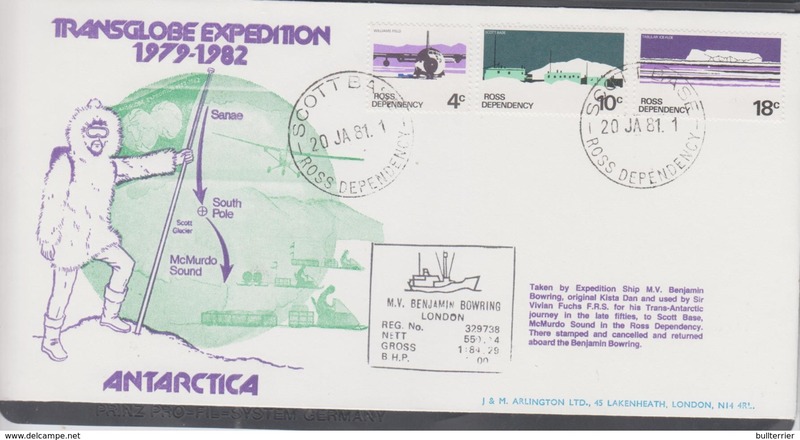 Ross Dependency 2002 Discovery Expedition unmounted mint. Ross Dependency 1998 Ice Formations unmounted mint. 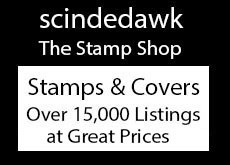 Ross Dependency 1997 Antarctic Seabird without WWF panels block unmounted mint. Ross Dependency 1997 Antarctic Seabird without WWF panels unmounted mint. Ross Dependency 1996 Antarctic Landscapes unmounted mint. Ross Dependency 1994-95 Wildlife unmounted mint. 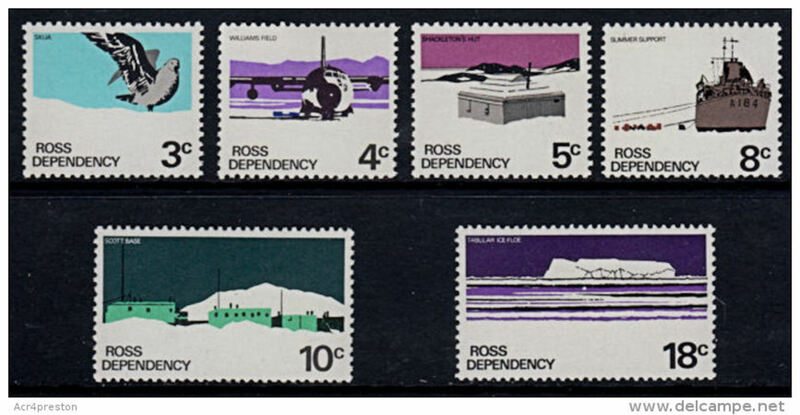 Ross Dependency 1982 set unmounted mint. 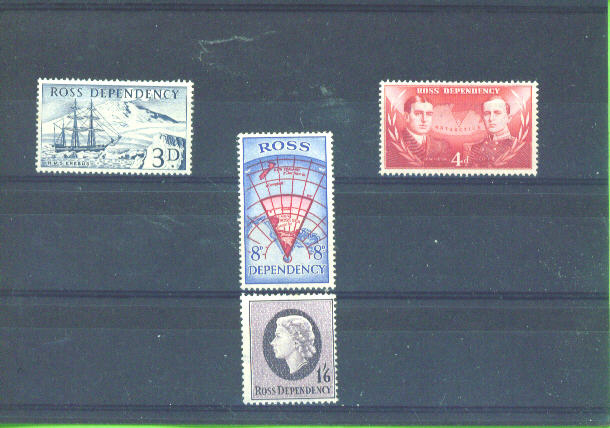 Ross Dependency 1972-79 set ordinary paper fine used. 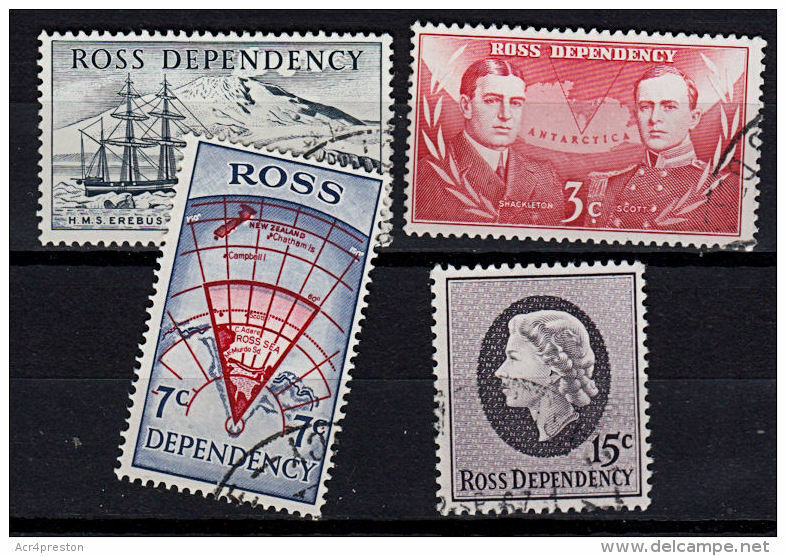 Ross Dependency 1967 set fine used. Ross Dependency 1996 Antarctic Explorers unmounted mint. 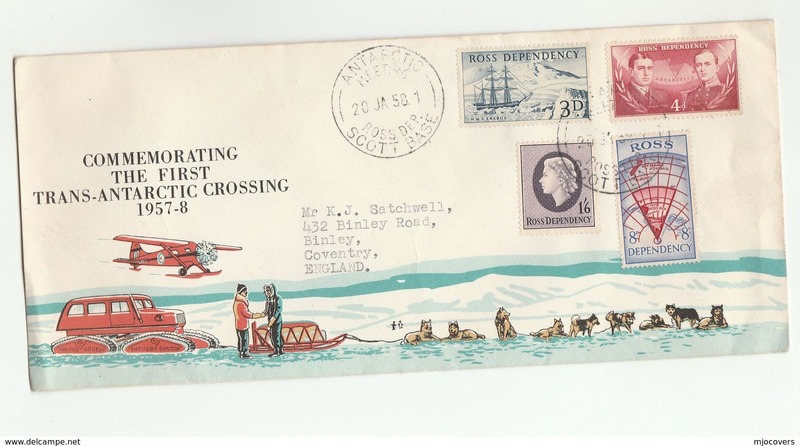 Ross Dependency 1957 8d bright carmine and blue unmounted mint. 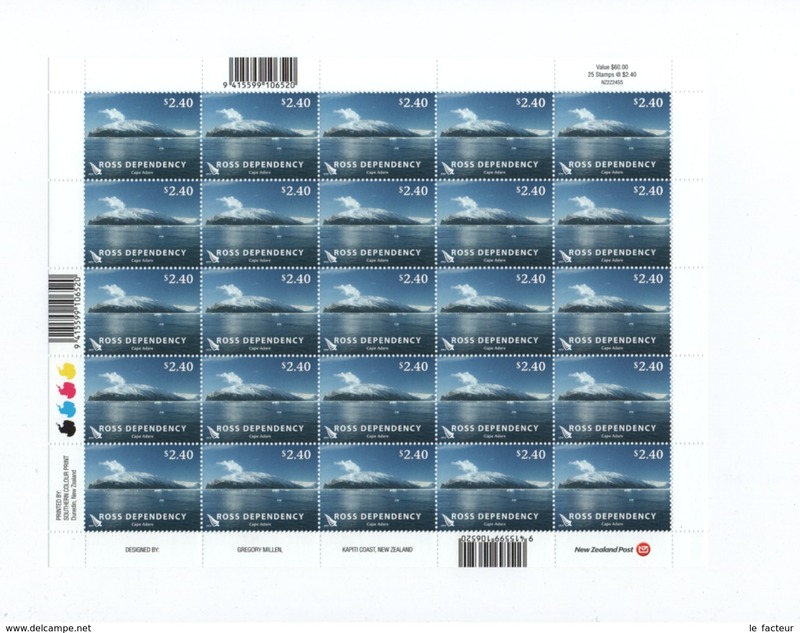 Ross Dependency 1999 Night Skies unmounted mint. 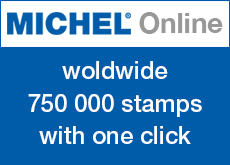 There are 1160 items which correspond to your search on Delcampe International.